The person who took your Job interview may need a little reassurance that you care about the job and he/she may find that in your thank you email. It’s also just an extremely polite gesture that most candidates aren’t wont to doing. 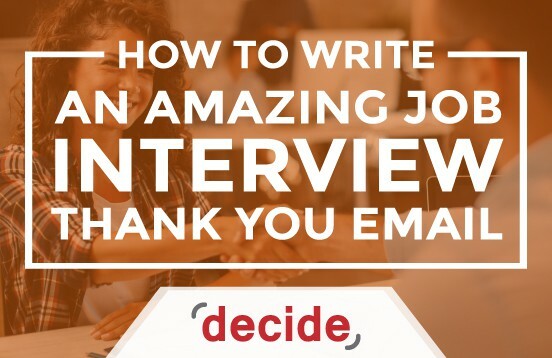 Here are a few tips on how to write a thank you email for any Job interview. 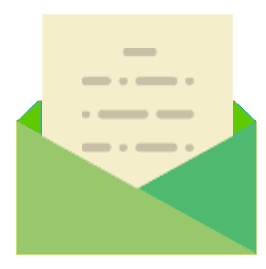 Know that you have a limited window to send the thank you email. The employer will get on with their work and schedule other Job interviews and won’t have time to look at your Email even after a day or two. If it’s one thing employers aren’t, it’s overly sentimental. They won’t consider it an obligation to look at your email or search for it under the mountain that they already receive each day. Being prompt will save you the trouble of calling in and saying, “I was just wondering if you got my follow up Email”. You don’t need to be overly dramatic or theatrical in the thank you email. Just remember to keep it short and to the point because the employer probably has a lot of other stuff to get to after the Job interview. It’s inconsiderate to give them an overlong series of paragraphs to read when they have a full plate to begin with. Limit it to two paragraphs and summarize your thoughts succinctly. Don’t use big words or flowery language or you may come across as needy. You want them to know you’re interested, not that you’re desperate. If you’re sending multiple Thank you emails to employers in a single company or to different companies where you’ve given Job interviews, it’s a good idea to send them separately. If you send a standard email to a list of addresses, you’ll be giving off the impression that you don’t particularly care about a single company and are fishing for luck. Job interviews are a dime a dozen and you’ll give many of them during your life as a professional, but you have to remember that every company needs to be wooed. You have to make them feel like they’re special, because they like to think so too. It’s good to give a little summary of your best qualities in the Thank you email. You should express every quality in your arsenal during your Job interview, but just in case the employer doesn’t have the best memory or forgets a crucial part of the Job interview because they day has been exhausting, it doesn’t hurt to put it on paper in your Thank you email. You can also include some of the achievements that you failed to mention in the Job interview. It may be considered bragging, but a few more lines about your positive traits may give you the push needed to score the position. In a Job interview, the employer may ask you a question about something unrelated to your academic record or your overall experience or even your interests. You may even bring up something interesting you found out while on the way to the interview. In this case, it’s pertinent to attach a link or a picture or a document related to that to the Thank you email. It may force a chuckle or a smile out of the employer and it may even spark an interest in them. It also gives the Thank you email a personal touch. There’s no excuse for this. If you make spelling mistakes or employ bad grammar, it will reflect badly on you no matter how good you are with public speaking. Something about misplacing commas and semi-colons, and misspelling words rubs people the wrong way, even if it is in a Thank you email. It can irritate someone to see a period out of place or a common noun capitalized. To some, it may actually be cringe inducing. The simple reason is, it demonstrates a lack of finesse or sophistication. It’s the same reaction people get when they notice a glitch in a videogame or a thread sticking out of an otherwise perfect dress. It just ruins the entire aesthetic. In case you’re not too good with grammar and sentence construction, it’s better to let the internet help. There are two apps called Hemingway and Grammarly that are designed especially to correct mistakes. Hemingway will safeguard against the dreaded run-on sentence. It’s a common mistake amongst novices to let their thoughts get the better of them. The train just keeps chugging on without any periods, commas, semi-colons or dashes. It results in an incoherent mess; hardly befitting a Thank you email. Grammarly takes care of nearly everything else. It’ll tell you if you’ve used commas in the wrong places, the wrong form of nouns or verbs, and even if you’ve forgotten to use the Oxford Comma. If you want to further personalize your Thank you email, handwritten notes can’t go wrong. It’s considered retro and artistic, and shows that you actually made an effort. After a Job interview if you really want to woo a company or an employer, a handwritten note sends the write message. In a few cases, you can simply scribble a few useless platitudes written in beautiful scripts and they’ll just be blown away by the aesthetic. Words typed on a typewriter have the same effect. You can even use a quill and an inkwell if you really want to make an impression.